We all want to look good, and the aim of Psoriasis Herbal Remedies is to try and get the sufferer of Psoriasis to achieve that target of looking good. Patches appear on legs, knees, arms, elbows, scalp, fingernails, toenails and ears. 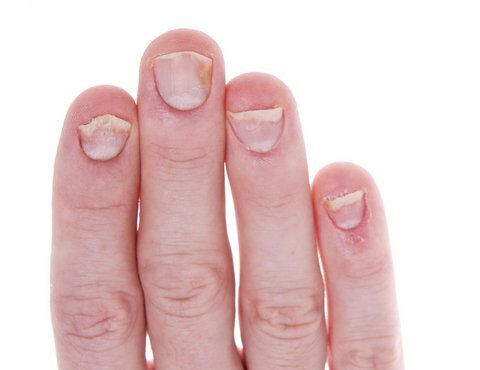 Toes and fingernails can lose their luster and develop ridges and pits. Flare-ups, and then periods of remission. Improves after been in the sun. Seems to improve while on weight loss diets. Some sufferers experience an associated arthritis that is similar to rheumatoid arthritis which is called psoriatic arthritis. Psoriasis is a chronic disease that affects millions of people around the world, but very rarely in the black community. The underlying causes of this inflammatory condition are not known, but it is thought that the immune system may damage the genetic material that tells the skin cells how often to divide. It is also thought that it may result from a faulty utilization of fat, which is probably confirmed by the fact that psoriasis is rare in countries where the diet is low in fat. 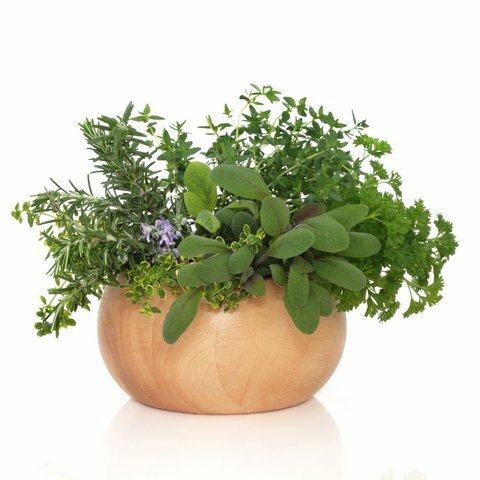 One of our most popular and relaxing psoriasis herbal remedies is for you to take some "thyme" off for a long and healing bath. Add an infusion of Thyme to your water, relax and enjoy. Thyme has anti-fungal properties and has been known since the year dot as an excellent skin soother. 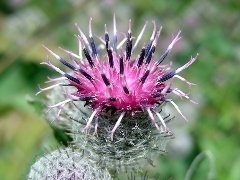 The herb burdock is a blood purifier , has an excellent inner cleansing action, and because of this, is reputed to be good for psoriasis sufferers. It can be taken as a decoction 3 times per day. Never forget about Zam-buk which is an herbal ointment containing Oil of Eucalyptus, Camphor, oil of Thyme and oil of Sassafras and is very good natural remedy for Psoriasis. This herb, has been used for centuries as a folk medicine for skin conditions, and has to be the show stopper for Psoriasis herbal remedies. When used in a cream or herbal ointment it has a therapeutic value as an anti-irritant which helps soothe and heal damaged skin and also assists in reducing itching. 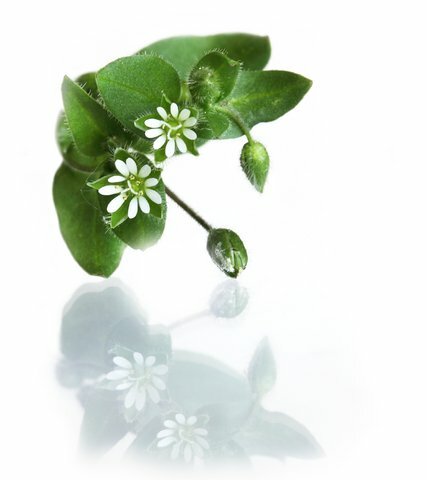 Chickweed can be taken as an infusion and that same infusion (little bit stronger) can be added to the bathwater to cover the whole surface of the body or as a swab to bring comfort to specific areas. Chickweed contains Vitamin A which helps protect the skin tissue. Chickweed also has cell proliferating properties. 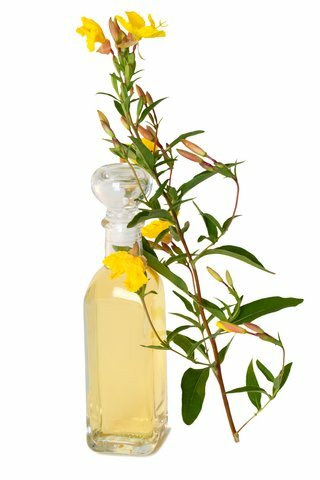 Evening Primrose Oil has a high content of the fatty acid GLA (Gamma-linolenic)which fights inflammation and has topical as well as internal benefits for psoriasis. Psoriasis herbal remedies for evening primrose oil are widely available from chemists and health shops. Current research points to an an immune system role in psoriasis. Lavender supports the immune system and it has anti-inflammatory properties when used topically. Psoriasis attacks can be triggered by nervous tension and stress, so the soothing and calming properties of lavender can help prevent stress related flare-ups. Lavender makes a calming and tasteful infusion, and when used in your herbal ointment can help with the itch and inflammation of psoriasis. 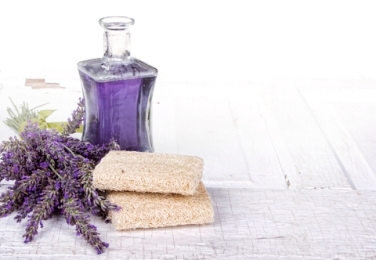 Use lavender in a sauna or steam bath, it fights inflammation and soothes and heals irritated skin. Oregon Grape contains a range of alkaloids that stimulate the liver which is important in keeping the blood clean and makes it useful for skin problems such as psoriasis where sluggish liver functions are involved. 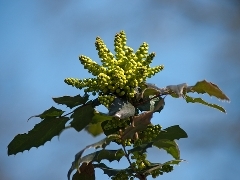 The root of the Oregon Grape herb is used and can be taken as a decoction 3 times per day. Sarsaparilla has anti-inflammatory properties as well as been a blood purifier. This makes it a very useful herb to consider for the treatment of the symptoms of psoriasis.